A handful of Chipotle customers are reportedly suing the popular restaurant for making them fat! Several customers claim the popular fast food eatery misled people into thinking its ‘chorizo burrito’ contained way fewer calories than it actually does. 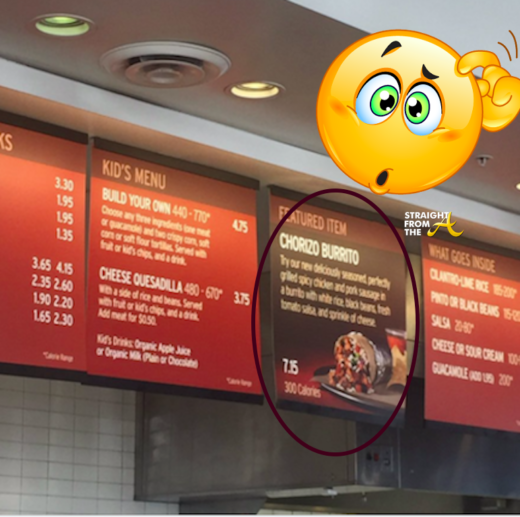 The lawsuit focuses on menu boards at three Chipotle restaurants in California that have the ‘chorizo burrito’ listed at 300 calories when in reality, they contain 700 calories or more.